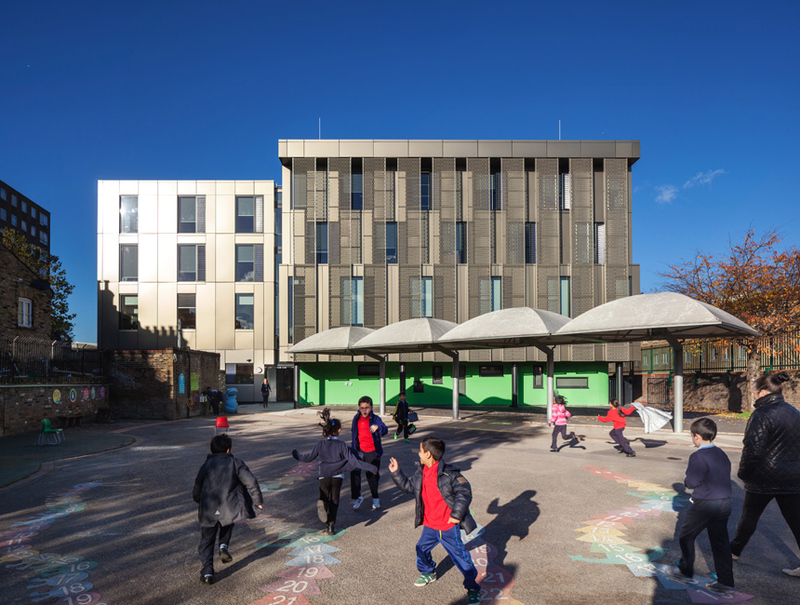 This expansion project increased Cayley Primary School in Limehouse, East London from a two to a three form entry school. It includes a 1,900sqm, four storey extension with a new main entrance, eight classrooms, dining hall, kitchen, toilets and staff rooms together with a new nursery classroom and rationalisation of the early years playground. The new building has floor to ceiling windows and is wrapped in bronze coloured panels with a decorative mesh which provides solar shading. 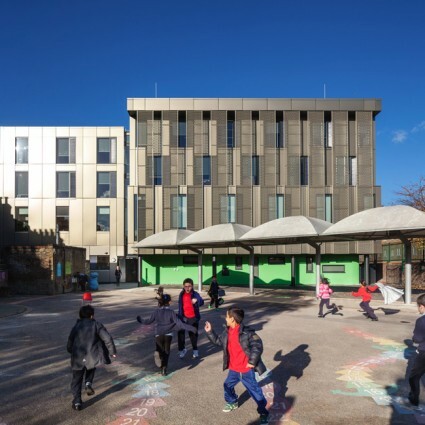 Procured through the IESE framework with Morgan Sindall, the works were carried out whilst the school was in operation and were delivered in phases.